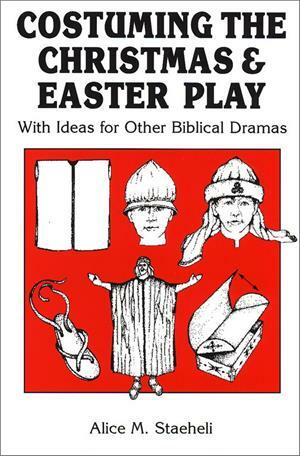 The comprehensive guide to costuming biblical plays. With ideas for other Biblical dramas, the revised and expanded version of Costuming the Christmas and Easter Play includes many more photos and detailed illustrations. This is an exceptionally helpful theatre costume book full of practical ideas and information on how anyone can costume almost any type of religious play on a limited budget. Included are drawings, photos, detailed dimensions, and many suggestions about props, storage, and handling of costumes. Alice M. Staeheli's designs are based on the authentic clothing of the period, modified to suit a simplified approach. Turns costume-making into an easy project. Alice M. Staeheli is a costume designer and author of Costuming the Christmas and Easter Play.